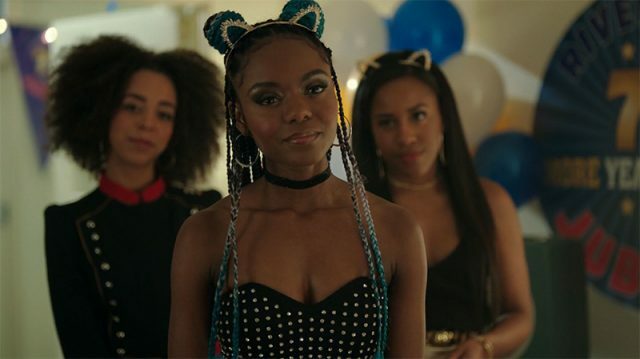 According to Deadline, Riverdale‘s Ashleigh Murray has joined the cast of The CW‘s upcoming Riverdale musical spin-off Katy Keene. Murray has played Josie McCoy since the teen drama’s first season and will continue to play her in the spin-off. It remains to be seen if Josie will still be appearing in the main show’s future seasons. In Katy Keene, the 20-something Josie McCoy has left the small town of Riverdale in pursuit of a new adventure in the Big City. More determined than ever to break into the music scene as the next Diana Ross, Josie finds herself forging new friendships, falling into new relationships, and, one day, becoming the star she is destined to be. The Riverdale spinoff is a musical dramedy that follows the lives and loves of four iconic Archie Comics characters — including fashion legend-to-be Katy Keene and singer/songwriter Josie McCoy— as they chase their twentysomething dreams in New York City. The musical dramedy chronicles the origins and struggles of four aspiring artists trying to make it on Broadway, on the runway and in the recording studio. Much like the Netflix adjacent Chilling Adventures of Sabrina, the shows will have a shared branding with their basis in Archie Comics but won’t see any crossing over in the foreseeable future. Riverdale showrunner Robert Aguirre-Sacasa will co-write the pilot with Michael Grassi. Greg Berlanti and Sarah Schechter of Berlanti Productions will executive produce alongside Aguirre-Sacasa, Grassi and Archie Comics CEO Jon Goldwater. Warner Bros. Television is the studio. The post Ashleigh Murray Set as Lead in Riverdale Spin-off Katy Keene appeared first on ComingSoon.net.